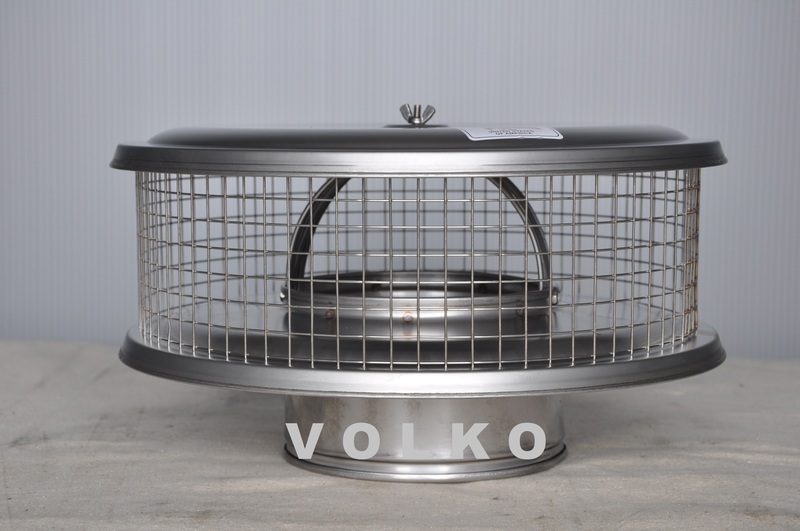 $79.95 - WSA-6-S5......6 inch Weathershield Cap with 1/2 inch spark arrestor mesh. Shipping Included. 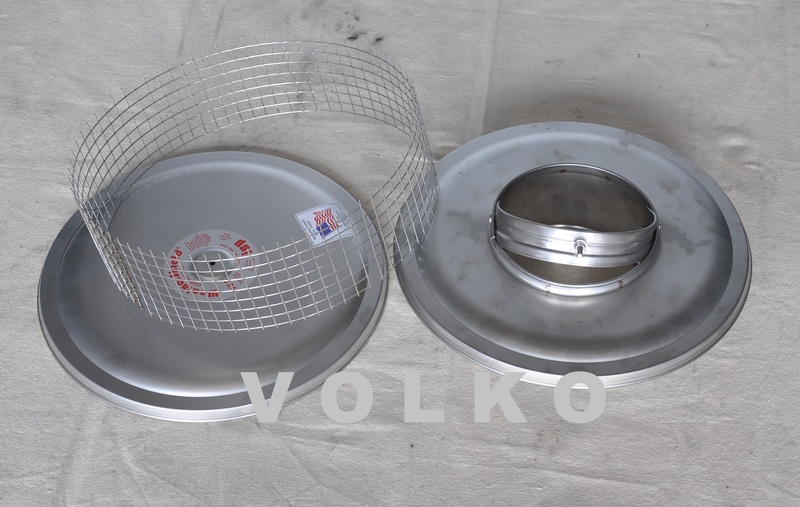 $94.95 - WSA-7-S5......7 inch Weathershield Cap with 1/2 inch spark arrestor mesh. Shipping Included. 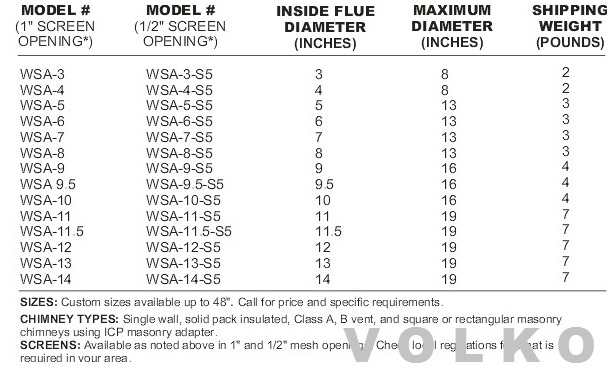 $79.95 - WSA-8-S5...8 inch Weathershield Cap with 1/2 inch spark arrestor mesh. Shipping Included. $117.95 - WSA-9-S5......9 inch Weathershield Cap with 1/2 inch spark arrestor mesh. Shipping Included. 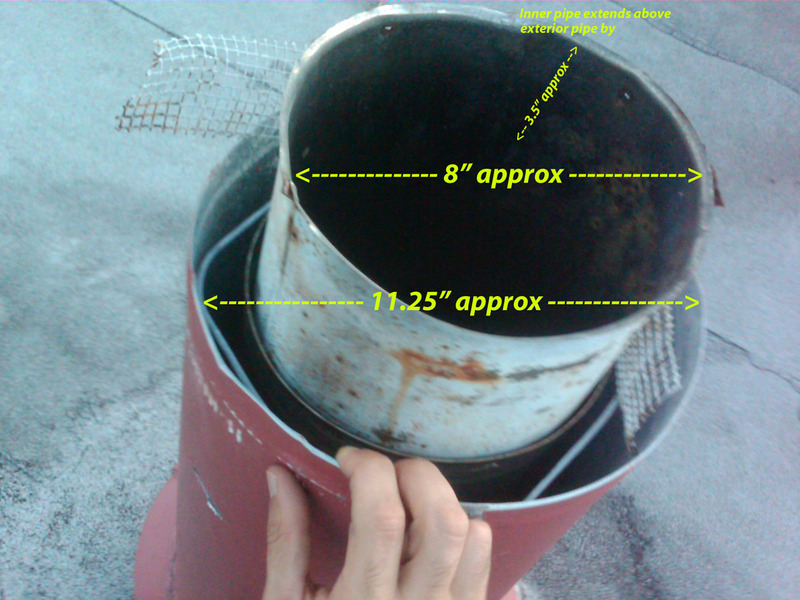 WSA Weathershield caps were designed as a replacement cap for Class A chimneys with solid pack insulation. Tight friction fit allows this cap to slip down inside the chimney securely. 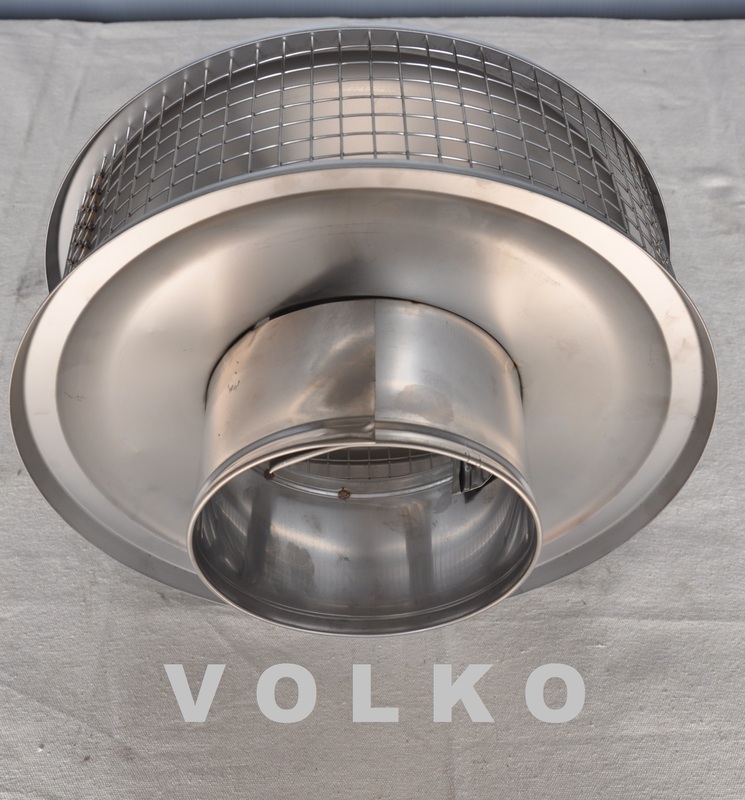 Available with 1/2" spark arrestor mesh.